Primary Health Properties (LON: PHP) is the topic of conversation when Hardman & Co Analyst Mike Foster joins DirectorsTalk. Mike explains who PHP are, what they do, dividends from multiple angles and why they are so dominant in his assessment and also summarises the risks involved. Primary Health Properties PLC (“PHP”) is a UK Real Estate Investment Trust (“REIT”) and leading investor in modern primary healthcare premises. It’s business model is to invest solely in the freehold or long leasehold of modern purpose-built primary healthcare facilities. They invest in flexible, modern properties for local primary healthcare. The overall objective of the Group is to create progressive returns to shareholders through a combination of earnings growth and capital appreciation. 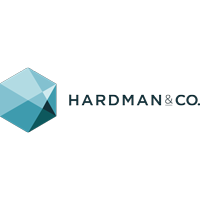 For the past 21 years Hardman has been producing specialist research designed to improve investors’ understanding of companies, sectors, industries and investment securities. Our analysts are highly experienced in their sectors, and have often been highly rated by professional investors for their knowledge. Our focus is to raise companies’ profiles across the UK and abroad with outstanding research, investor engagement programmes and advisory services.